Satsang is a devotional evening of chanting songs (bhajans) and mantra, includes the Aarti ceremony of Light, and a brief talk on an aspect of living a spiritual life. 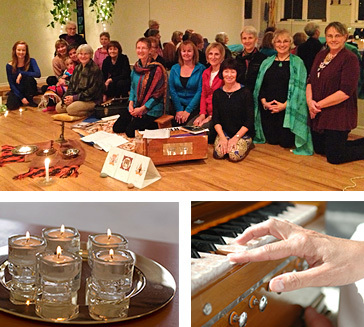 Satsangs are held on a regular basis, usually Sunday evenings, 7-8:30 at 51 Fenwood Road in Halifax. Occasionally the time and/or location will change, so please see the calendar.